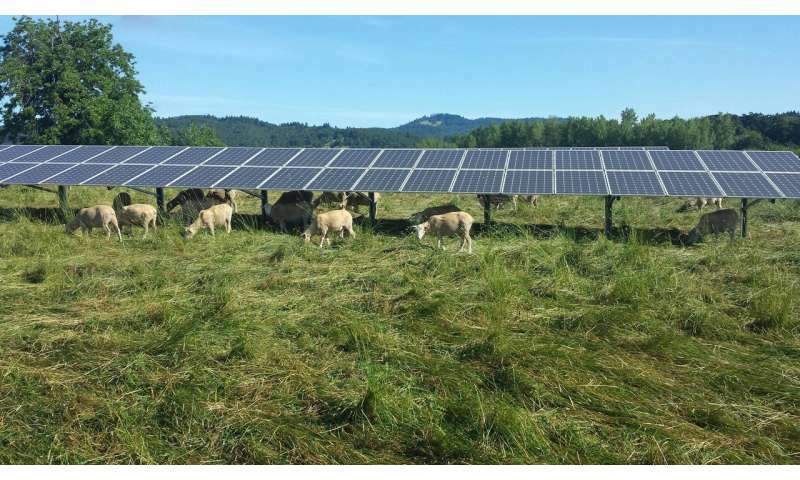 In a study published Thursday in the journal PLOS One, a research team in OSU's College of Agricultural Sciences found that grasses favored by sheep and cattle thrive in the shade of a solar array installed in a pasture on the OSU campus. "There are some plants that are happier in shaded environments," he said. "The amount of water that went into the making those plants is tremendously smaller than in the open field. You get double the yield, less water and all the solar energy." 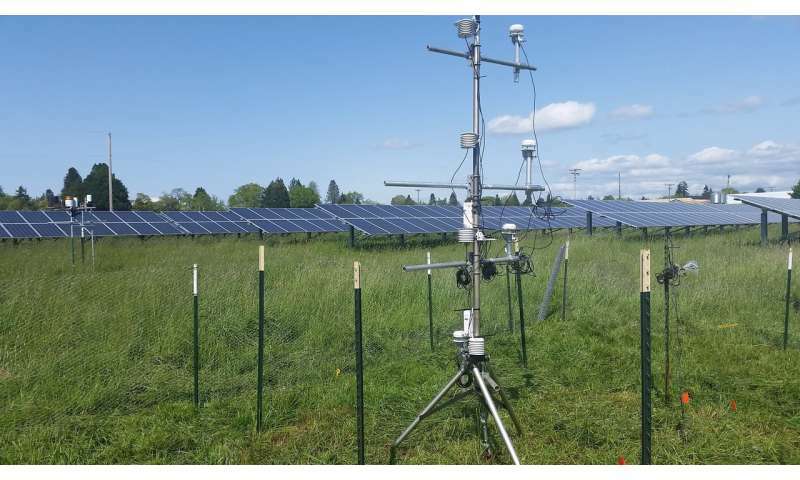 The concept of co-developing the same area of land for both solar photovoltaic power and conventional agriculture, known as agrivoltaics, dates to the early 1980s. 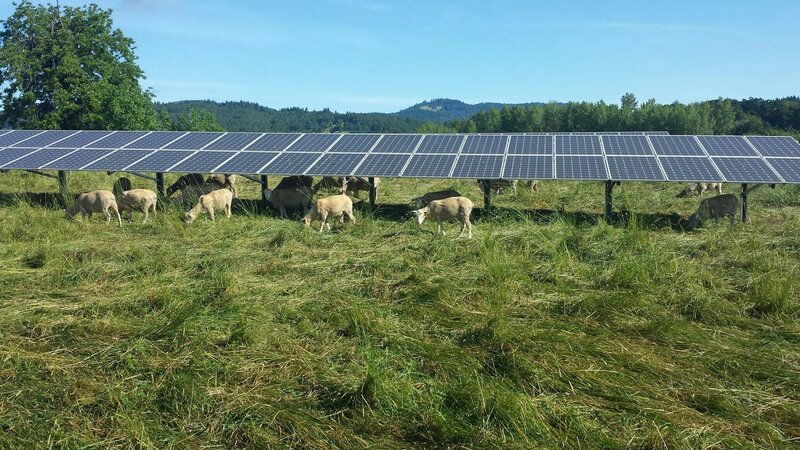 Ground-mounted solar arrays typically aren't placed on farms with the intent to grow crops. "The idea of locating solar panels on farm isn't new," Higgins said. "The difference here is that this solar array was installed without the intent to influence plant production. It was by accident. Nobody engineered this system. 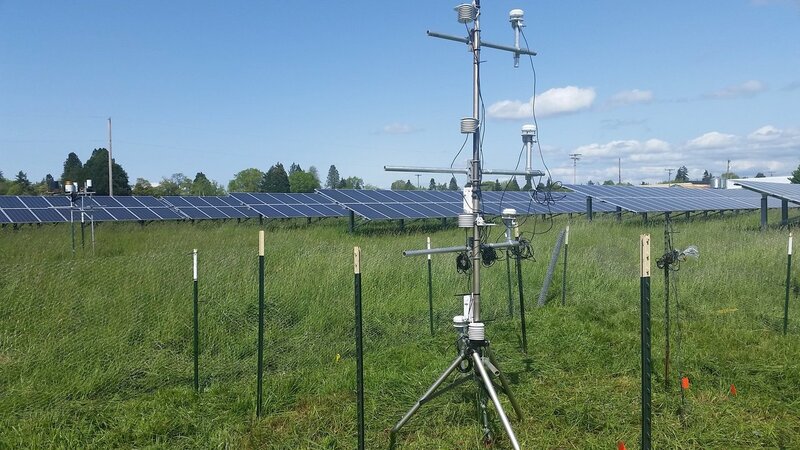 Now we're trying to develop a deeper understanding of how we can engineer the system to be technically feasible, environmentally sound and economically viable." "It's like a tortoise and a hare race," Higgins said. "The plants that experience the full brunt of the sun use their water resources as quickly as possible. They grow to the extent they can and then they die. On the other hand, the plants in the shade take sips of water because they are less stressed, and they keep chugging along."